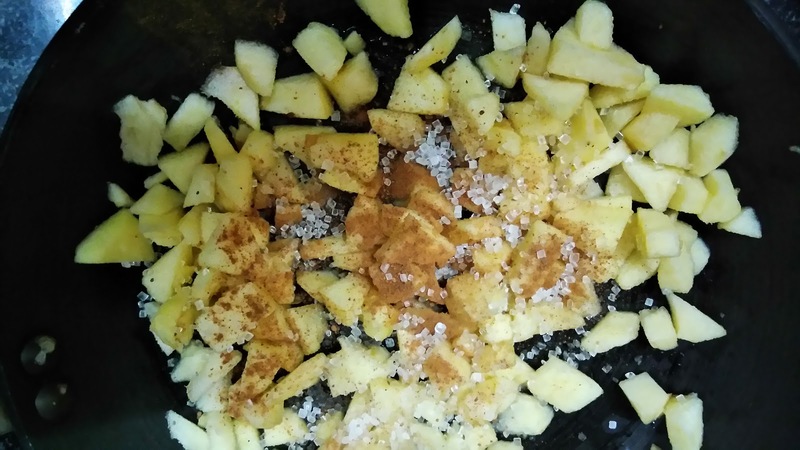 Finely chop apple, transfer in heavy bottomed pan, add cinnamon powder and sugar to it. Cook till sugar melts and dissolves completely and the water is dried up. Keep aside. 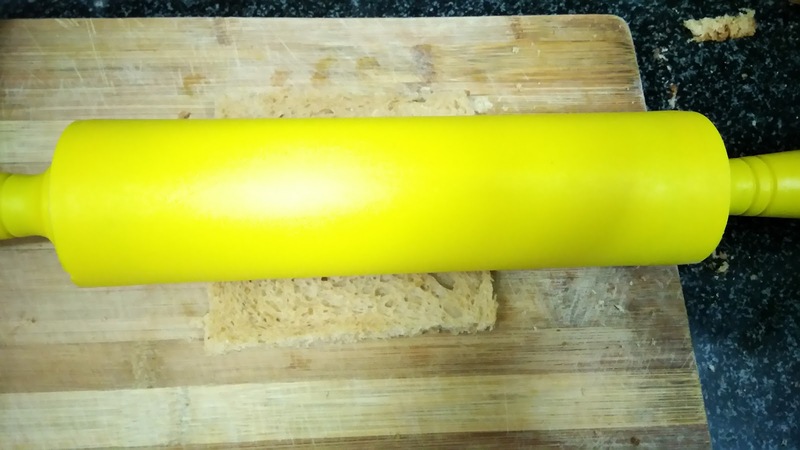 Take bread slices and trim the edges and roll it flat with the help of rolling pin. Keep aside. Break eggs, beat well, add 1 tsp powder sugar. Beat again well. 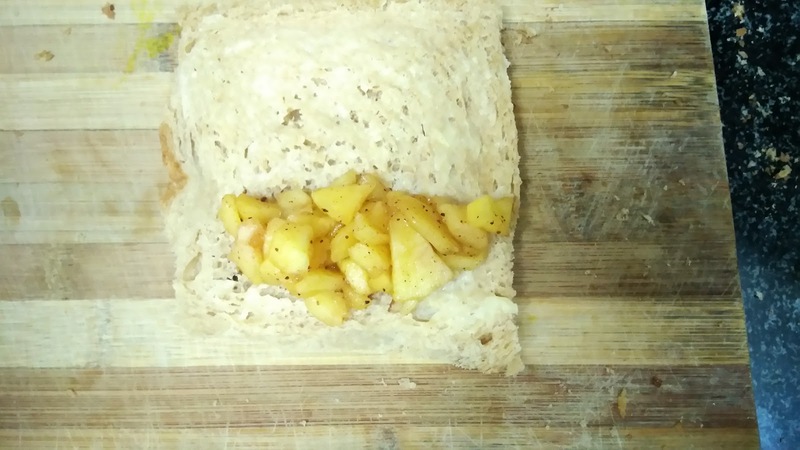 Put a tablespoon full of apple mix on bread slice. Roll it and seal the edges by brushing it with egg. 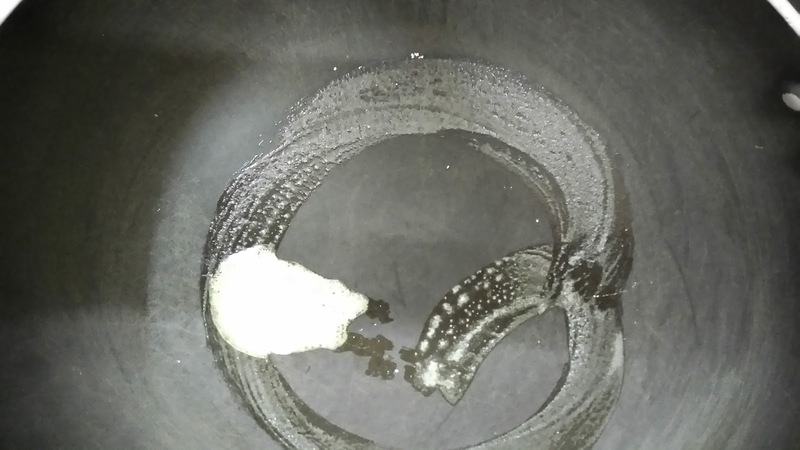 Put some butter or oil on hot pan. 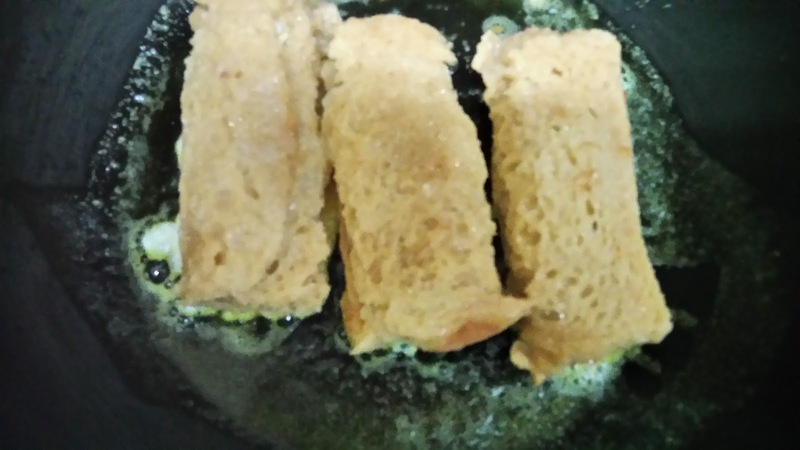 Dip bread roll in beaten egg and place it on pan, toast from all the sides and edges. 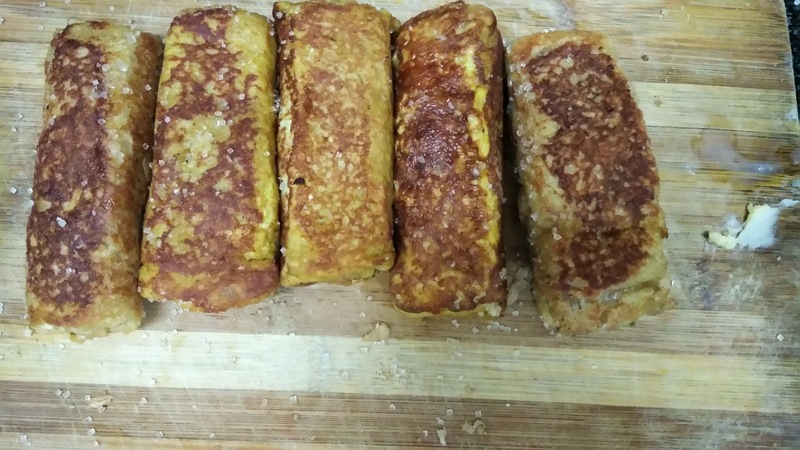 You can try other versions of French toast like Jam French Toast, Mushroom French Toast, Cheese French Toast, Pizza french Toast. Serve or pack in kids school lunch box. 1. Chop apple, add sugar and cinnamon. Mix well. 2. 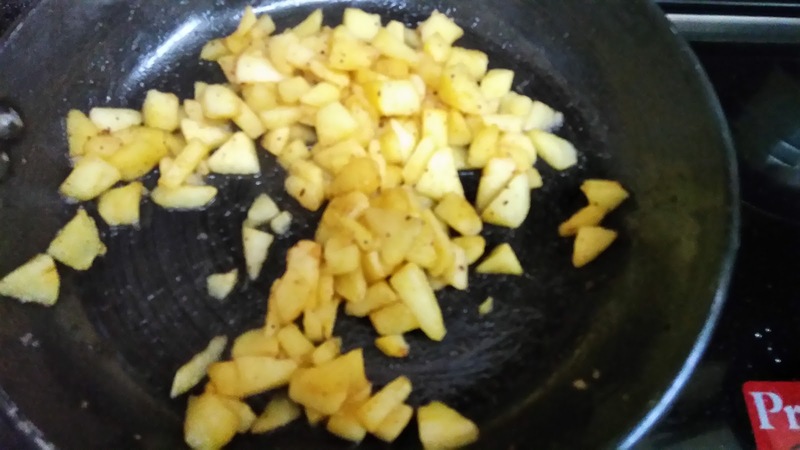 Cook till all the water from apple and sugar is absorbed. 3. 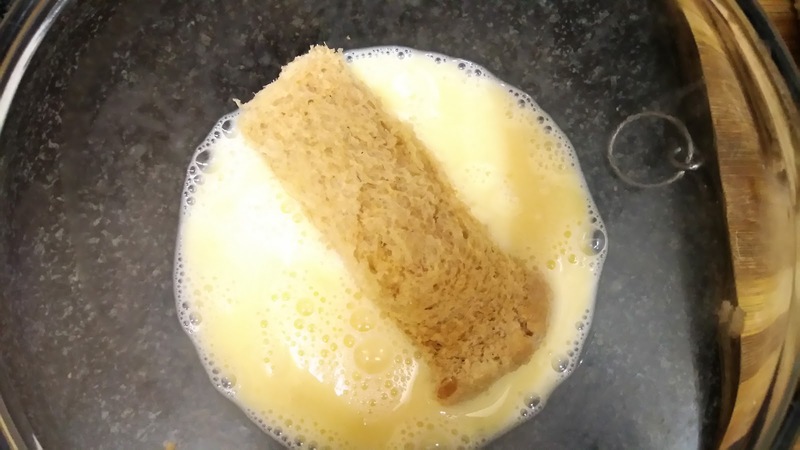 Beat eggs with sugar and milk. 4. 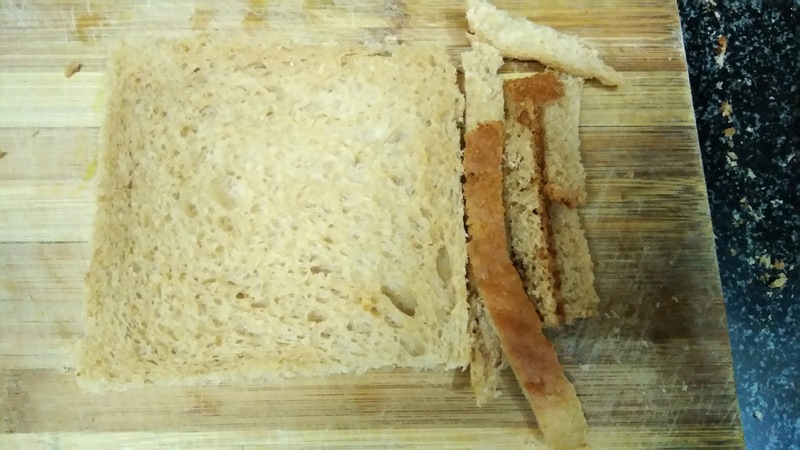 Trim the edges of the bread. 5. Roll it flat with the help of rolling pin. 6. Keep apple mix on one end of the bread. 7. 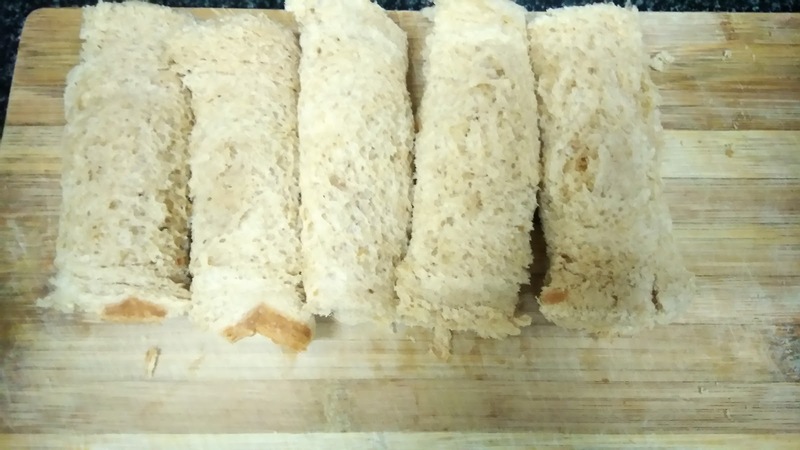 Roll the bread and seal the edges by brushing it with egg. 8. 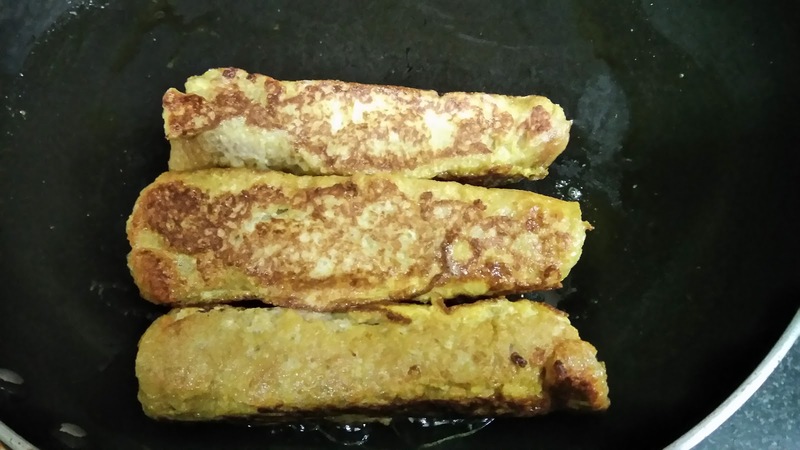 Dip bread roll in beaten egg mix. 9. Melt some butter or heat oil in pan. 11. From all the sides. 13. Serve in breakfast or pack in kids lunch box.